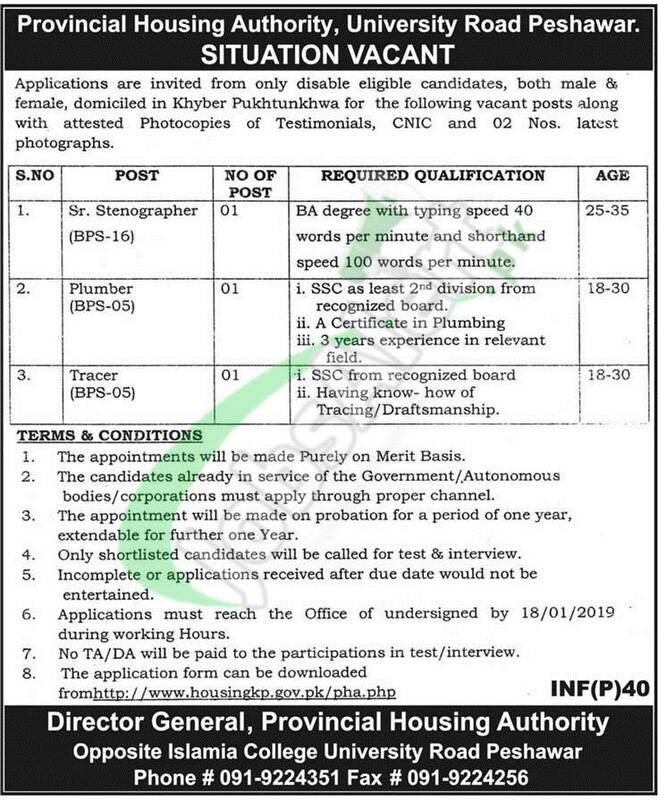 Here you'll get Provincial Housing Authority Jobs 2019 Govt of KPK which is related to latest PHA KPK Jobs based at Peshawar announced for the KPK Domiciled candidates. Jobs in PHA KPK are (Sr. Stenographer, Plumber, Tracer) and these positions are going to recruit on contract basis and duration of contract is extendable on satisfactory performance of an individual. Candidates possessing qualification from Matric to Graduation and relevant field experience and skills are welcome to apply on prescribed form on or before the last date 18th January 2019.